**This article is taken from a previous version of our pricing guide and saved here for Reference. We often get questions from business owners who are adamant that they know enough to assure that their sites are in fact ADA compliant. Rather than try and convince you that you need us, let us show you where we get our information so if you like, YOU CAN DO IT YOURSELF. Yours Truly Accessibility is a California Corporation that provides industry leading accessibility service at extremely competitive prices. We are able to provide this level of value because YTA has developed cutting-edge survey software called Précis. Précis significantly decreases our processing time for each survey while ensuring perfect accuracy and completeness. Beware “casual” access inspectors that charge similar to us but only point out a thing or two from memory, potentially leaving you liable for thousands of dollars in exposures that they missed. For example, so far as we know, YTA is the only firm that uses the latest 2010 laws to give you the most complete, up-to-date information of over 3000 individual checks. The laws aren’t straight forward though, here is a list of some federal and state ADA conflicts. If you’re curious as to where we got our information, the following organizations can be of assistance. These are the major official websites from which accessibility code originates. http://www.ada.gov – This is the Department of Justice’s website on accessibility. They have extensive materials on FEDERAL accessibility regarding cities, municipalities and small businesses. You can find their fact sheet here. http://www.access-board.gov – This is an independent Federal Agency devoted to exploring access issues. They help determine and resolve access issues as they come up. Any new Federal Legislation on accessibility will be influenced by the Access Board. You can find their updated 2010 ADA standards here. These links above aren’t complete — California has a wide range of standards. You’ll need the California Building Code as well. http://iccsafe.org – You can buy a copy here. The International Code Council is an organization which oversights building code for the entire United States. Every three years, through a series of hearings and discussions they issue a new model-code from which states will adopt in full or modify. California modifies the ICC’s model code extensively to create the California Building Code. This building code is adopted every three years. You can buy a copy of the California Building Code (Title 24 Volume 2, Part 1) in which Chapters 10 and 11 are the relevant accessibility chapters. You can find the relevant volume 2 here. California Civil Code – This is the ‘engine’ that ties businesses, building code and Civil rights together. We understand you are not attorneys. We aren’t either, but we do have extensive experience dealing with attorneys, as we have worked in an Expert Witness capacity. If you ask an attorney for free advice, you’d probably get 30 minutes, which isn’t enough to get a full answer. Part of the problem is that you probably have no idea what questions to ask. So we have provide some links below with the full text that attorneys would look at. As the law is changing always, you should do your own legal research as well. A good starting place for some ground breaking ADA lawsuits can be found here. This article was written by Frank Chen, an attorney we have worked closely with one some ADA lawsuits. The text of the California Unruh Act and Disabled Persons Act can be found below. There are many more sites online devoted to this ADA accessibility topic, which also explore access issues. We recommend that you review some of these sites. They will all contain various differing information. The majority of such sites are done by lawyers who explain what various court cases and legislative bills mean for us common folk. Architects and contractors tend not to explain very much about the meaning of what they do. California Chamber of Commerce’s Legislative Reform Efforts for ADA The California Chamber of Commerce has done extensive lobbying for ADA and Unruh Reform. while modifying civil rights is a nightmare for any political figure, CalChambers, along with other business organizations, has been successful at getting SB 1608 passed. SB1608 is one of the most wide-reaching legislation California has seen recently. CalChambers, of course, lists and brags about all their changes. It’s an interesting read, but the lesson here is that SB 1608 and CASp really only protect businesses that have a few thousand dollars to spend on CASp. If you are worried about lawsuits you should, by all means learn about the issues at stake and your options. Law Blog that chronicles ADA legal cases We’ve gotten some of our news from this site. They have a definite slant in their view of ADA cases, but this particular tag will list the many cases that they feel are more on the vexatious ligitation side. This blog is more of a news feed, so they are a little short on the ‘main lesson’, merely serving to inform you of what happens. Buildings Operator Blog on ADA Lawsuits This is a relatively recent article written by a facilities management group on how to avoid ADA lawsuits. They suggest the same thing we would, but they are based in the east coast so they don’t have the familiarity with California. Nonetheless, it’s a good read with some solid general information about what an ADA expert should do for you. Self help service for ADA liability This is a new website we are proud to be a part of. 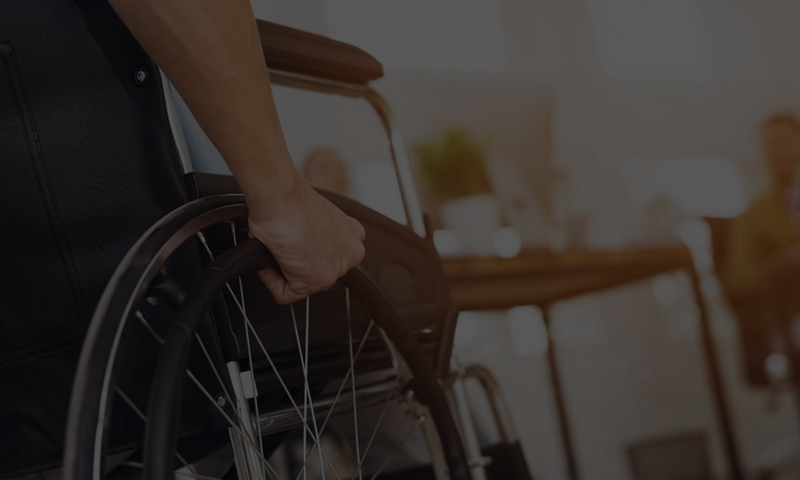 When released this site can guide business owners, facility managers and contractors to finding out the extent of your ADA liability. Much less expensive than hiring someone else to come out to your site, you can now do it yourself! While in some circumstances the cost of making business premises fully accessible to persons with disabilities can be substantial, many changes can be made with minimal expense. In the Cable’s Restaurant trial, Molski’s contractor testified that while both bathrooms could be remodeled and comply with the law for a total of $8,600, there were incremental steps that could also be taken for much less money. For example, Molski’s contractor testified that lowering the toilet seat cover dispenser would cost approximately $20 and take about 15 minutes to do. Insulating the pipes underneath the sink would cost around $20. Other repairs were as inexpensive as $30. There are a great many inexpensive steps that businesses can take to comply with ADA regulations and help avoid costly lawsuits. This last point is important to note. It may not cost much to do the actual work that a small business may be legally required to do, but knowing what to do and doing it correctly is the difficult part. The tone of these sites is that they all contain the “last word”. If you look through our access tips, we explore these different opinions. One of the reason why it’s so confusing and no one is willing to give you the last word is that on many of issues, the experts themselves are unsure of the last word. The agencies and governing bodies that issue the standards are themselves often in disagreement or unclear about how their principles and standards should be implemented. This is unfortunate as this is confusing to businesses who just want to get it right (so they can move on) but this does represent the current fluidic nature of accessibility standards. More than a few experts will secure a job first and then look up what they need to know. This is why you need an ADA expert like ourselves. Our computer surveys are designed to take into account both the maximum and minimum interpretations of these different standards so we can offer the best fit for your site. For this reason we don’t recommend you purchase an accessibility book as those discuss general standards, which may or may not be applicable to a specific site. If you are thinking about purchasing a book on access, be aware that it must contain the latest code issues (post 2010) as that includes the most recent updates. YTA provides a variety of valuable services that cover a wide array of needs and situations. These are very brief descriptions of those services, please don’t hesitate to call 866 982 3212 or email to help@accesssolutionllc.com if you have questions. In order to customize our services to exactly serve your unique needs, our pricing is split into three parts. The Survey Fee is the basic cost to travel to your facility and perform the actual inspection. Then you add on the products you need. Finally you choose any optional extras like rush processing. YTA will inspect your facility with regards to the Americans with Disabilities Act and the applicable sections of the California Building Code Title 24, Part 2, Volume 1. YTA will always strive to base all recommendations on the very latest laws. Be wary of consultants, contractors, and architects that still rely on outdated codes. If it deems appropriate, YTA will collect data, including measurements and photographs. The survey is a visual inspection only. Any deficiencies which are not visible at the time of the survey cannot be included. See here for a guide on how to put a price tag on your ADA Requirements. Price: The minimum Survey Fee is $488. This price includes most places of public accommodation (e.g. a business open to the public) of up to 500 square feet and the closest parking lot of up to 25 spaces. For surveys that only address parking and exterior common ares, the minimum fee applies for parking lots up to 75 spaces. The actual Survey Fee depends largely on the size and complexity of the scope of the survey. Please contact us for a quote. There is an additional travel charge of $2 per mile outside of Los Angeles County. If it is necessary to split the Survey over more than one day (for example for a very large Scope, or if part of the Scope is inaccessible for any reason) there is an additional destination charge of $150 per day.